As reported in our recent post, “The Tale of the Nooksack Nine,” the Department of Ecology went above and beyond its usual water mismanagement when — faced with clear evidence of illegal water diversions from the Nooksack River – the agency decided to issue permits, rather than penalty orders, to the culprits. More recently, it has been revealed that the Nooksack Nine — who now possess water rights — continue to divert in violation of the requirements of their newly issued rights. When does it stop? Read the rest of Rachel’s article on Naiads here. 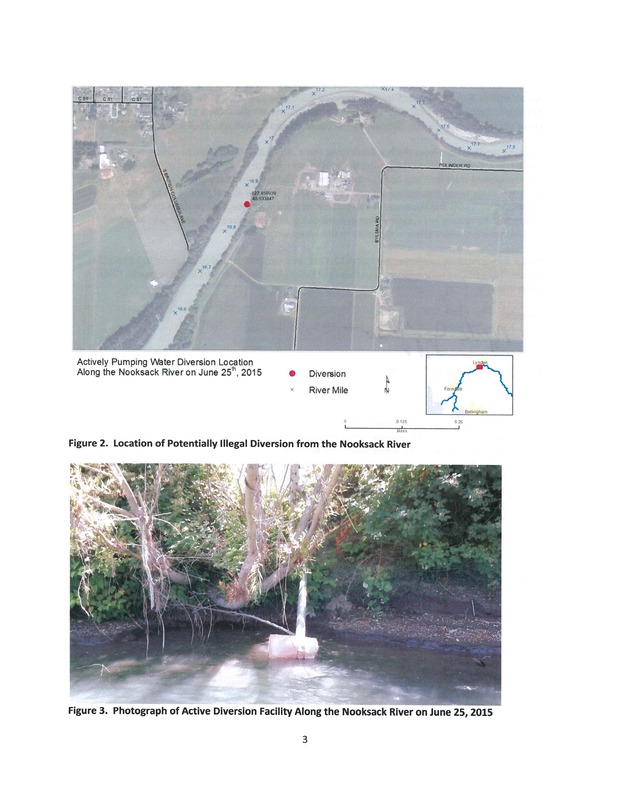 This entry was posted in Blog Post, Commentary, Data, Information and tagged Department of Ecology, Nooksack Nine, Water management, Water Rights, Whatcom County. Bookmark the permalink.